(Newser) – The head of a Russian Orthodox Church panel looking into the 1918 killing of Russia's last czar and his family said it is investigating whether it was a ritual murder—a statement that has angered Jewish groups. Father Tikhon Shevkunov, the Orthodox bishop heading the panel, said after Monday's session that "a large share of the church commission members have no doubts that the murder was ritual." A representative of the Investigative Committee, Russia's top state investigative agency, also said that it will conduct its own probe into the theory. Boruch Gorin, a spokesman for the Federation of Jewish Communities, Russia's largest Jewish group, expressed a strong concern Tuesday about the claims that he described as a "throwback to the darkest ages." Some Christians in medieval Europe believed that Jews murdered Christians to use their blood for ritual purposes, something which historians say has no basis in Jewish religious law or historical fact and instead reflected anti-Jewish hostility in Christian Europe, the AP reports. 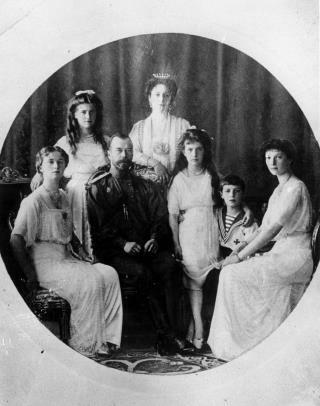 Nicholas II, his wife, and their five children were executed by a Bolshevik firing squad on July 17, 1918, in a basement room of a merchant's house where they were held in the Ural Mountains city of Yekaterinburg. The Russian Orthodox Church made them saints in 2000. The speculation that the czar and his family were killed by the Jews for ritual purposes long has been promoted by fringe anti-Semitic groups. While Tikhon steered clear of singling out Jews as those responsible for the killing, Gorin said that the use of the term coined by anti-Semites of all stripes was "extremely alarming." Wow. And here I always thought the killings were politically motivated. Oh wait, they WERE! This has to be one of the most asinine conspiracy theories out there. What's next, The Jews elected idiot Trump into office?! Yeah, let's see how that one flies...... It's getting really tiring the way Jews are blamed for every evil thing in the world. I'm not Jewish and I don't blame them for all the evil that befalls us. People need to start putting the blame where it SHOULD be, with yourselves! Everything is a Jewish conspiracy doesn't matter what the facts say I mean the internet told me so right? Israel needs to start a rescue plan for every Jew in Russia.